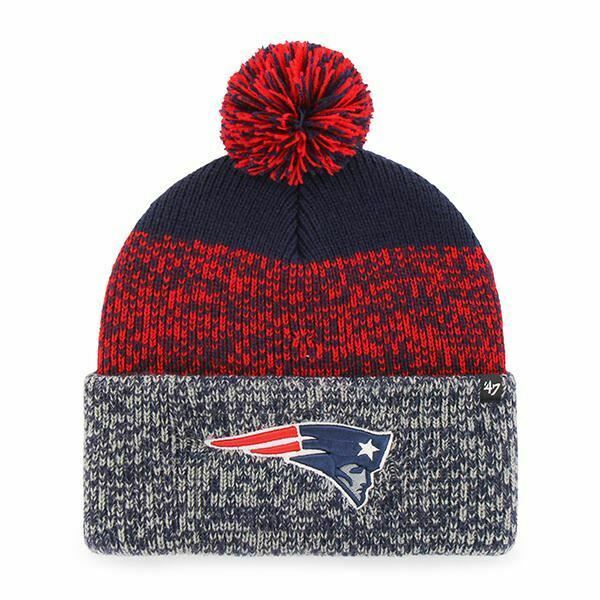 Prove your #1 New England Patriots fan with this ’47 Brand Pom knit beanie! His New England Patriots spirit will overcome his friends with this team color explosion. An embroidered logo on the cuff, sublimated stripes throughout the hat and a pom at the top let everyone know he is a fan of the New England Patriots.